Despite the damage they leave in their wake, termites are fascinating creatures with a complex social system. Learning how termites live and interact is the first step in termite control in Middleburg, FL. Keep reading to learn more from the exterminators at Champion Termite & Pest Control. In medieval times, if your father was a blacksmith or a shoemaker, you probably learned and carried on the trade. A shoemaker rarely rose above his station to become a lord or royalty. This socio-economic system was called a caste system, and termites use a similar hierarchy. A termite assumes the job that they are born into, and that's usually the only job they perform until they die. Worker termites are responsible for finding food as well as feeding it to other members of the colony. 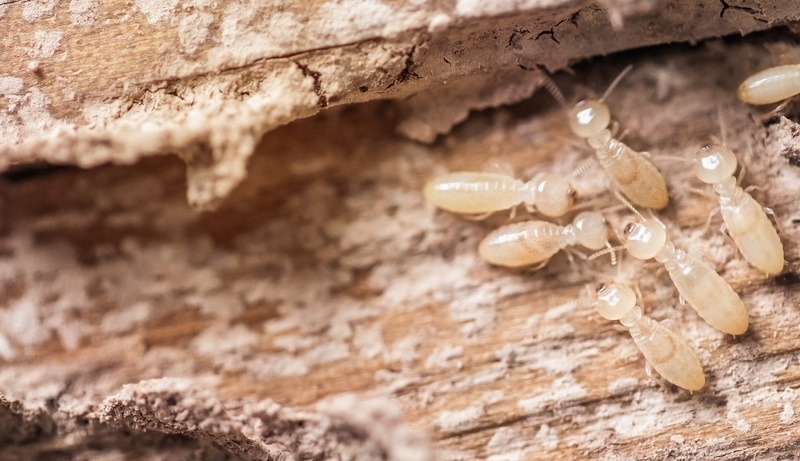 Worker termites are born with digestive proteins that break down cellulose. Like a mother bird feeding her chicks, a worker termite will partially digest the food before regurgitating it into the mouth of a non-worker termite. Worker termites have been known to travel up to 300 feet in their search for food. Depending on where they want to travel, worker termites will build tunnels made of dirt or chew through solid wood. Soldier ants protect the colony from attacks. Compared to worker termites, soldiers have large mandibles that they use to pick up large pieces of debris. When the colony is disturbed, they block the tunnels with the debris and seal themselves inside. Most of the termites that you see outside the colony are soldier termites on patrol. On rare occasions in the spring, you might spy a winged termite. These termites are responsible for finding mates and producing the next generation or creating a new colony. When they're ready to give birth, they shed their wings leaving them behind for homeowners to find. Termites communicate through scent and sound. By releasing pheromones, termites can signal when they're distressed or in trouble. They bang their heads and create vibrations to let other termites know where to build or repair or when they're being invaded. If you find termite wings or other signs around your home, ask your local exterminators about termite control in Middleburg, FL.